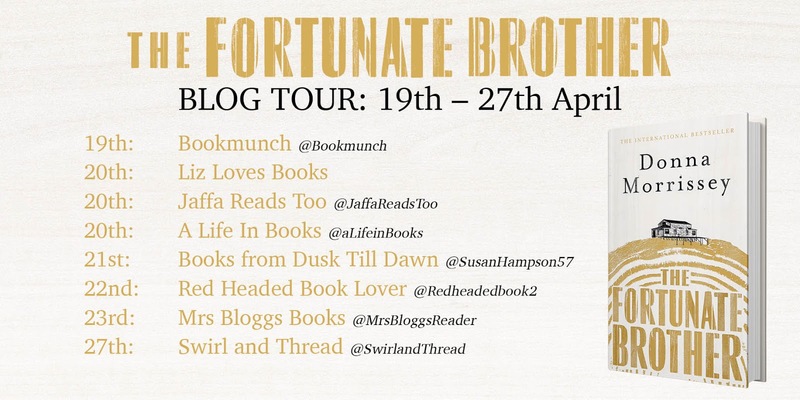 Firstly I wish to thank Becca Nice of Canongate Edinburgh for inviting me to be part of this Blog Tour for The Fortunate Brother by Donna Morrissey. 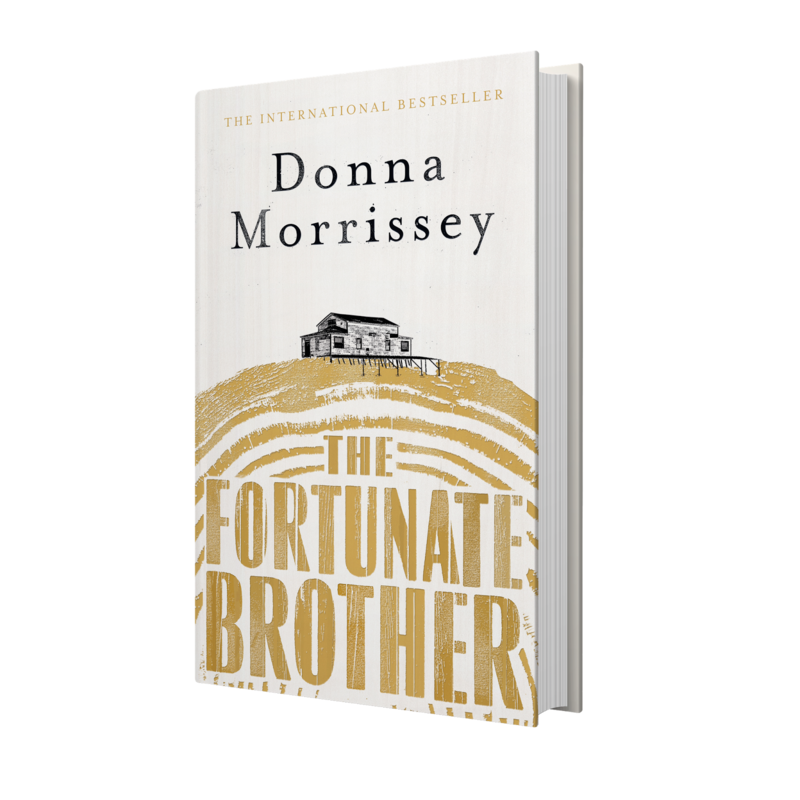 A powerful tale of a family reeling from the tragic loss of a son, while facing a mysterious murder on their doorstep–told by one of Canada’s most beloved voices. After being uprooted from their fishing outport, the Now family is further devastated by the tragic loss of their eldest son, Chris, who died working on an Alberta oil rig. Kyle Now is still mourning his older brother when the murder of a local bully changes everything. The victim’s blood is found on the family’s pier, and suspicion falls first on an alienated wife, and then finally on the troubled Now family. But behind this new turmoil, Chris’s death continues to plague the family. Father Sylvanus Now drowns his sorrow in a bottle, while mother Addie is facing breast cancer. And the children fight their own battles as the tension persists between Kyle and his sister, Sylvie, over her role in their brother’s death. This novel was full of surprises for me, from the wonderful language of Newfoundland Canada that flowed effortless as I read it, to the dramatic landscape that felt like it would never be tame no matter how many people lived there, to finding out that this is the third book in a trilogy that I had read and loved as a stand alone novel. Just wow, wow, wow. I met the Now family, broken beyond repair through a life time of tragic events that they found impossible to share, even though they had all experienced them. They all harboured unwarranted guilt, that compelled them to punish themselves on a daily basis, that forced them to go round in circles rather than move forward. There were times when the self loathing over flowed and hurt those around them even more. When a local bully is found murdered it isn’t long before suspicions fall on the Now family and with yet another crisis going on too will they all be able to survive? What a cracking murder mystery this is. I think that I could have happy admitted to killing of this vile man myself. I loved the rugged descriptions in this book, the short cuts to be avoided by night because that was when the darkness let the wilderness regain its power from this small community with its back against the shore. It felt like two time zones one through the day and the other at night. There was a strong sense of community, if someone had a problem it rippled through the whole town like they didn’t even have to be told, the Now family just needed to learn how to let them in. This is a brilliant story that deals with so many emotional family issues while the world carries on spinning. Super!